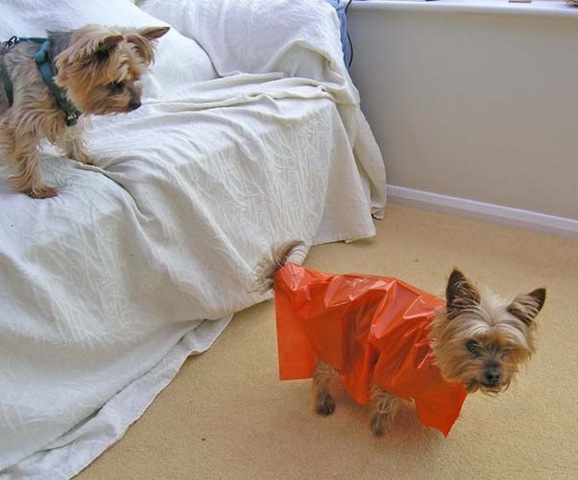 Sami, the Yorkshire Terrier, was always ready to go for a walk but even for her there were limits. Just see the look she gave me when I tried out a lamb’s waterproof jacket on her! 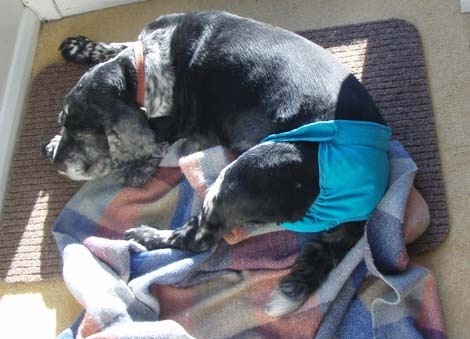 Raq proved to be far more laid back when, with old age, he needed to wear knickers. Raq died on June 26, 2012.